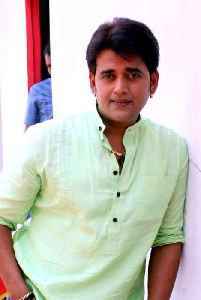 Ravi Kishan Shukla, popularly known as Ravi Kishan, is an Indian actor,politician and television personality who works in Hindi cinema and Bhojpuri cinema. He has also acted in a few Telugu films. In 2006, he participated in Bigg Boss, the Indian version of Big Brother. He was also a contestant on Jhalak Dikhhla Jaa 5 in 2012. In 2017 he made his Kannada debut in Hebbuli alongside Kiccha Sudeep, and his Tamil debut in Sketch with Vikram.